(1) Not identifying your required return on investment. If you don't know this, how can you play red light, green light on an investment opportunity? Investors that haven't identified a required return on investment are professional lookers ... not investors. (2) Convincing yourself that you can overprice the listing once renovated because you'll be better than the competition in order to achieve your required return on investment. The key is to be a more attractive option for the same basic price as your competition so buyers fight over your listing before others. (3) Relying on professionals with no experience flipping properties. If you're friends with your contractor and/or realtor and they haven't performed a flip before, you can't rely on their information, timelines and budgets - all of which impact your bottom line. (4) Not forecasting your project from start to finish and getting commitments from other people on your Team. If you buy a project because it achieves your required return on investment but the contractor you trust can't start renovating until 6 weeks after closing ... you have a problem! You'll either have to hire someone based on a recommendation or try and perform some of the work yourself, which may not be the highest and best use of your time. (5) Flipping in an area with very little turnover. The idea is to FLIP the property. If you buy a home in an area where the average days on market is 6 months and you haven't accounted for that in your strategy ... you have a problem! (6) Not reacting to the market's feedback once you list your renovated home for sale. If the market is telling you the home is overpriced (either directly through feedback or indirectly through a general lack of interest and/or offers), you need to reduce your asking price. If the asking price you've set is the only price you can comfortably afford to sell it for in order to achieve your required return on investment, that's not a good flip. For even more information, click here to listen to an episode of The Brian Beatty Real Estate Show which is full of valuable advice for everyone from first time real estate investors to seasoned veterans. FILL OUT THE FORM BELOW to gain access to off market investment opportunities, receive your free copy of The Comprehensive 14-Page Due Diligence Checklist for Real Estate Investments, and inquire about a cash offer for your home! Thank you! 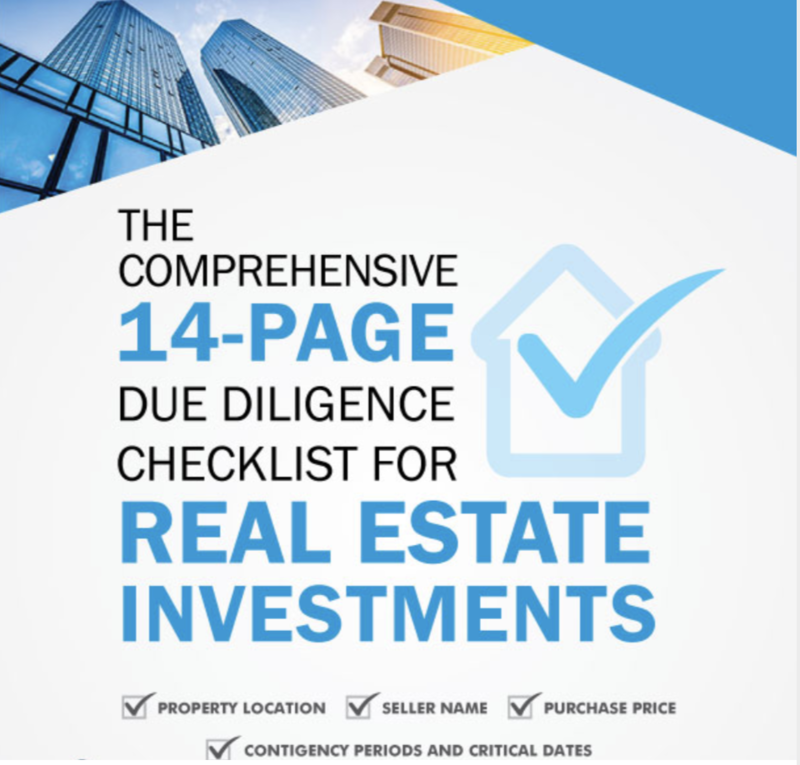 Check your inbox for your copy of The Comprehensive 14-Page Due Diligence Checklist for Real Estate Investments.